The recipient sites are created to follow the direction and angulation of the native hair as it occurs naturally, by slanting the blade to mirror both the direction and exit angle of the hair. There is not a single pattern, exit angle or hair direction which is applicable to all patients. What is natural for one patient may be quite different for another. There is no one type of hair pattern, but there are some common trends. For example, in the central hairline, most patients’ hairs angle forward. This provides lift to the hair. However, on some occasions, patients have a cowlick, or other type of wave that persists in their remaining hair -in some cases the hair actually angles backward! In this instance, if transplanted hairs were angled forward, they would not blend properly. Dr. Keene takes into consideration the existing hair, since often we are adding to it, and not just replacing it. The grafted hairs will blend with the existing hair, not conflict with it. Hair in the frontal scalp is typically oriented toward the face, which can be clearly seen when the hair is not brushed back. But the exit angle will be to the right or left, and sometimes will even converge toward the midline. Often hair will be angled very acutely near the hairline, becoming less angled as we reach the midfrontal scalp area above the ears. This angle becomes almost perpendicular to the scalp at the anterior crown where the curvature of the head begins to slope toward the back of the head. Hairs on the sides of the head, and side burns, are generally oriented down toward the neck, and the exit angle is very acute. The crown hair usually exits the scalp in a whorl pattern. Some patients have more than one whorl. The doctor will base the slant of the incisions on the direction of your native hair, maintaining the natural angle of that area. For the crown area, when there is no existing hair to indicate the original pattern, she will utilize her extensive experience and aesthetic talent in determining what looks natural. Dr. Keene believes the real benefit of using lateral incisions is when they allow for optimal recreation of the surrounding, or the presumed original exit angles. Will I need to shave my head or cut my hair short? As previously noted, just like other hair characteristics, hair angulation and directional patterns vary somewhat between patients, and depending on whether the hair is on the sides, or in the transition from the top to the sides. Dr. Keene has also observed that some patients have a “convergent midline angulation -meaning that hairs from either of the sides of the head actually angle toward the midline, while midline hairs angle forward. Dr. Keene believes that when existing hairs point the way, maximum naturalness dictates that she follows what nature has done. Therefore, when patients have existing hair present in the recipient area, Dr. Keene does not shave it, because the visible hair as it naturally lies provides valuable information about the natural pattern of your hair growth. 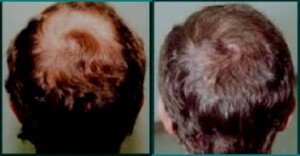 If you have hair in the recipient area, it is closely observed to recreate the naturalness of what you lost, matching the angle and direction to the hairs that are present. 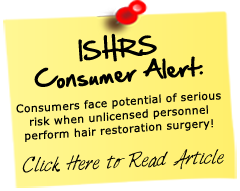 This also helps to minimize shock to the existing hairs by preventing slicing the follicles of existing hairs during recipient site creation. When a patient has bare scalp, often there are tiny vellus hairs that can offer information about the original pattern of growth. But if not, the doctor will use her knowledge of frequently observed patterns of growth to orient the hair for its maximum benefit to you.